We would need a much bigger bracket to account for all the retailers we cover, but here are a few rankings of major companies we're watching and where they might get seeded. If you've never sat around thinking about the similarities between college basketball and the retail industry, you're missing out. They might seem like two entirely different operations, but you better believe retail has its own plethora of 16-seed players, a significantly smaller subset of 1-seeds, a handful of historic upsets and a number of dramatic failures. And, much like college basketball, the rankings can change on a dime. It was in March of last year that Toys R Us liquidated in a bankruptcy filing no one saw coming, leaving a pleasant amount of market share up for grabs by the likes of Walmart, Target and every department store with enough financial stability to justify entering the market. In stark contrast, Sears filed for bankruptcy in October to the surprise of no one and, despite being a 16-seed for years, has so far refused to admit that maybe it just doesn't belong in the tournament anymore. (For reference, see: Sears just decided to open stores again in what it calls "a new era." It's also still describing itself as a "leading integrated retailer"). Still don't believe March Madness is applicable to retail? You don't have to. But based on the news so far this year, here's a select set of our own picks (in no particular order) for who could be a Championship competitor and who's going out in the first round. Outlook: Yes, there's always a chance, but this is not looking like the Virginia-UMBC scenario of 2018. The signs are few that J. Crew will be able to escape the corner it's backed itself into anytime soon. Saying J. Crew needs a year to rebuild is an understatement. Simply put: the gods have not been kind to the specialty apparel retailer this year. One bad headline seems to follow the next for an overall uninspiring picture that started with James Brett's departure in late 2018 and, so far, has ended with reports that the retailer is back in restructuring talks. The retailer has been searching for a winning strategy like UCLA has been trying to win the NCAA tournament: really well for a while and then with diminishing success. The retailer has been on our watch list more than once, and no, that doesn't mean J. Crew has a good chance of being drafted to the NBA. Outlook: Think Duke, and then add in the fact that they actually want people to like them. The result? They win a lot. They're capable of losing, but it doesn't happen often and this year seems to be off to a good start. Much like Zion Williamson, Walmart does it all. It's one of the only retailers that can truly compete with Amazon on convenience and price, and recently it's been making a serious effort to convince shoppers that it's not just another big-box retailer with low prices. Lately, that's meant a lot of efforts in the DTC space, thanks to the Jet.com acqui-hire Marc Lore. To kick the whole thing off was the Bonobos acquisition, which customers were openly wary about, but which seems to be doing just fine now that an appropriate amount of time has passed without the brand's quality dropping off the map. Since then, the number of partnerships and acquisitions has multiplied, including ModCloth, Moosejaw, Eloquii and Art.com. Oh yeah, and it's also finding time to plant a stake in the abandoned playground Babies R Us left behind. Walmart would dunk in your face and not think twice. 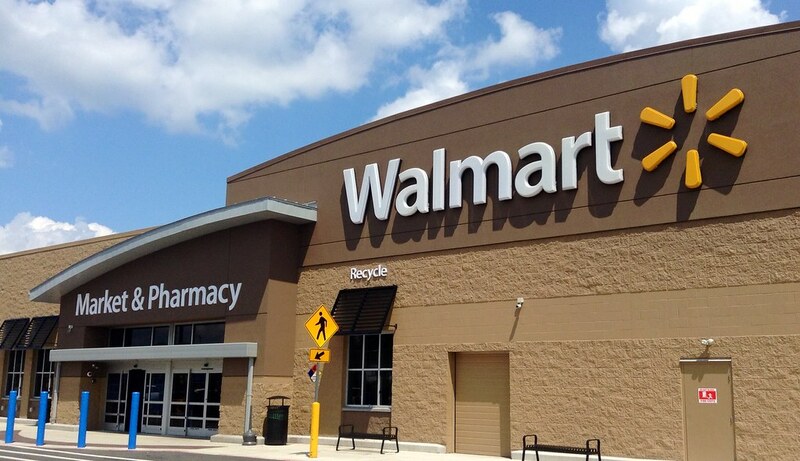 For retailers, Walmart is the company you hate to love. Outlook: Things don't appear to be dire quite yet, but some troubling signs are stopping the retailer from being ranked higher. Just don't make them your surprise Final Four pick. A good basketball team listens to the coach, even if the coach says something that seems wrong. That's generally good practice, but a group of Bed Bath and Beyond shareholders has a different approach to this problem: maybe the coach is just wrong and maybe we should tell him that. The result was a strongly worded letter in late March suggesting CEO Steven Temares step down, calling out the board members for being too old and having a "lack of retail expertise," and generally insulting both with phrases like "self-enriching mindset" and "value destruction." The root of the problems? The investor group believes this led to an "apparent inability to prioritize a long list of poorly implemented initiatives and management's lack of success in adapting its business model to a changing retail landscape." The retailer has struggled with a number of persistent issues, including its loyalty program, which features frequent coupons that customers love, but which have eaten into actual profit. Its willingness to accept coupons long past their expiration date is not helping. In October, Bed Bath and Beyond was downgraded in part for its highly promotional stance. The latest report? That the company just cut nearly 150 employees. Safe to say this is no Virginia. Outlook: Unclear. Really unclear. If Gap Inc. was a college basketball team, it would have two consistent starters and several curveballs. And yes, one of the consistent players just got moved up to Varsity while the other was left on JV. If we were giving out superlatives, Gap Inc. would win an award for most likely to confuse the industry. There have been some positive signs so far this year: Notably, the company's popular Athleta brand launched a men's focused athleisure brand called Hill City and the retailer added high-end children's business Janie and Jack to its stable after parent Gymboree filed for bankruptcy. Even with the knowledge that the flagship Gap brand is closing hundreds of stores, this might give Gap a decently positive outlook. But then there's the Old Navy news. Long known to be supporting Gap Inc.'s weaker brands, Old Navy was the constant bright spot in the retailer's portfolio — a point guard, of sorts. So naturally Gap Inc. made the decision to spin it off into its own business, leaving every other brand in the portfolio with the inspiringly unnamed "NewCo." It felt curiously like the crew of a possibly damaged ship giving the one lifeboat to their best swimmer. The pros? That guy is definitely going to live. The cons? A few moderate swimmers were left caring for those still learning to tread water. Outlook: Reasonably healthy, with positive signs of not being afraid to change up the playbook. The problem is we don't know how well those gambles are going to pay off yet. In short: they could surprise you … or they could come back next year with a lower seed. Macy's is like a team that's been doing the same thing for several years and then, upon realizing that's not getting them to the championships, decided to make some investments. In chief, that's meant acquiring Story, partnering with b8ta and otherwise trying to shake up the in-store buying experience. These are all moves from a chief executive who realizes that the department store can't just sit around and do nothing while its peers file for bankruptcy. Pretty soon, that fire could spread — and Macy's wants to be there with an extinguisher. All of these are good signs, but the efforts haven't fully come to bear fruit yet. We're coming up on a year from when Macy's acquired Story and still no news of what is to be done with the concept. The retailer also suffered from some rough holiday sales, shortly after losing long-time chief merchandiser Jeff Kantor in November. Since then, the department store also announced executive job cuts, which should save some $100 million, according to the company.